Are you or a loved one addicted to crack cocaine and interested in detox and rehab? If so, Banbury Lodge is dedicated to helping you achieve a permanent drug-free life. All our staff are in recovery from a range of addictions (inc. crack cocaine) while many have been through detox and rehab themselves. Furthermore, our 160 nationwide beds & rehabs are best-in-class, CQC regulated and we have a range of multi-cost options to suit your budget, with free family support and lifetime aftercare as standard. For more information about treatment costs & locations please call us on 0203 553 3757 or talk privately with our addiction counsellors on LIVE Chat! Fatigue: the person may feel an overwhelming lack of energy. Lethargy: they may feel unable to summon up the effort to do even the most basic tasks. Cravings: feel an intense need to consume more crack which dominates their every thought. Nightmares: sleep might be plagued with terrifying and very vivid dreams. Days 1-2: Cravings become increasingly intense and the addict may exhibit extreme agitation and anxiety. Leaving rehab and having to face the reality of day-to-day life can be an extremely daunting thought. While you may be determined to continue living a clean and sober life, external triggers and temptations exist and dealing with these alone can leave you feeling isolated. To support you during this vital time, we have created a two-tier approach to long-term sobriety. One year’s free aftercare support sessions every week in the rehab you attended (or nearest clinic). Here you will engage with a group based therapeutic approach, with loved ones in attendance (if you so wish) but with the opportunity to speak with a counsellor one-to-one. 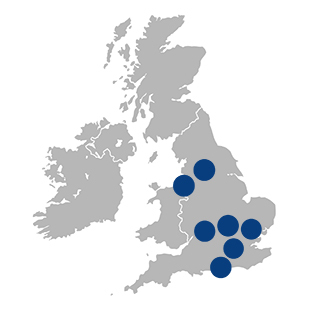 We have built the UK’s first recovery network for all those who have attended a UKAT treatment facility. This lifelong recovery network is called Alumni– a gateway to lifelong sober companionship. Events include Christmas parties, dinners, adventure days out and, of course, summer BBQs. This is the future of permanent recovery, and we are proud to be the first rehab family in the UK to offer it. Many people fear that putting down alcohol/drugs means losing their social life. At UKAT we say it’s only just begun! Please call to hear more about rehab, recovery and lifelong happiness. If you have any questions regarding our rehab clinics and aftercare programmes, treatment needs, locations and cost – we can answer them!